The male parental unit is more likely than the female parental unit to take him out to tata. The parental unit that is putting on footwear is the better bet. The parental unit that is standing at the door is more likely to take him tata. Once the parental unit has gone out through the door and closed it, it means that he will not be taken tata now, but sometimes wailing loudly opens the door. These heuristics have served him well so far, but sometimes strange things happen when they come into conflict. For example, today, the male parental unit was putting on footwear, while the female parental unit decided to say “Tata” to him and go out. This brought two of his rules into conflict, but he stuck with rule nos 1 and 2 and stayed calm. Then, after the MPU seemed ready with his footwear, it turned out that the FPU was at the door, offering to take him Tata, so he lunged for her. Then, to his surprise, he found that the positions were now reversed and the MPU was at the door pretending to go Tata all by himself. A quick wail soon corrected the situation. It is the mango that is proof of the fact that God loves us and wants us to be happy. 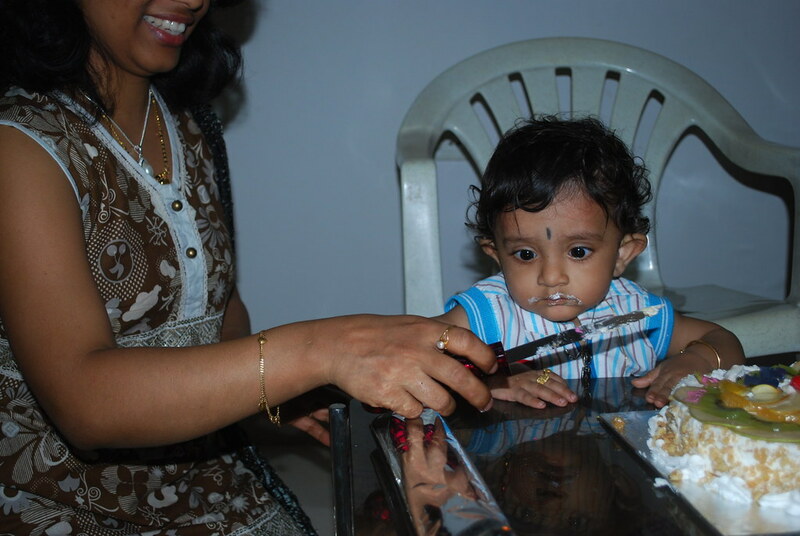 At 9:28 PM, September 29, 2008, we took delivery of this as-yet unnamed package at Fernandez Hospital, Abids, Hyderabad. 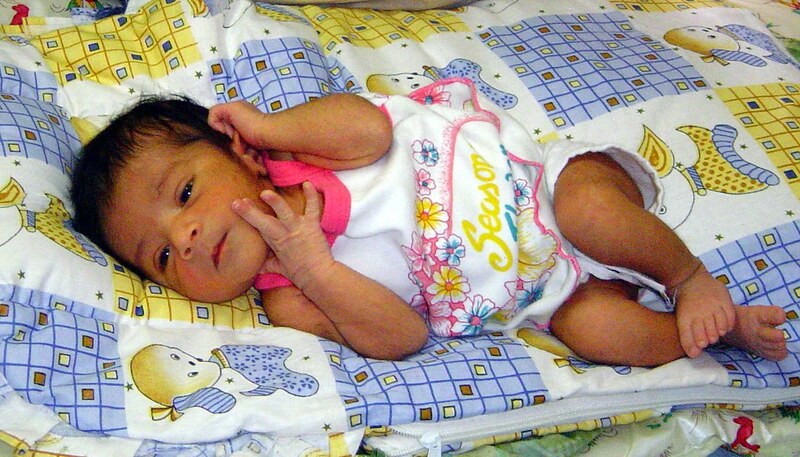 He weighed 2.8kg at birth and took 30 hours to push his way out of his mother Soumya’s womb. He came a few days early, partly in response to his father’s threat to name him “Mohandas” if he dared arrive on October 2. His other major accomplishment in the past week has been to learn to feed himself. In the coming weeks, his parents hope that he will learn to distinguish between night and day, and stay awake during the latter rather than the former. The data is scrubbed. All values are dummies, except the names of the funds in the first sheet – those are a subset of the ones I actually own. But everything else, including folio numbers, prices and number of units is fake. It is writable by anyone. I had to make it writable for you guys to see the formulas. But please don’t make any changes. On the last sheet are supposed to be two pivot tables. As I have explained, when I upload a .xls file, Google converts pivot tables into simple tables. But the pivot is self-explanatory and you can recreate it. You can download as .xls for your use. But a stupid bug will be apparent to you if you compare the last sheets. It is trivial to fix it. The spreadsheet is probably unusable unless you understand the thinking behind it. The last lacuna, I shall now rectify with the following treatise on how I do my investing. Since you’re heading there… is in Pondicherry, on a side street roughly across the street from Sri Aurobindo’s Paper Factory off of SV Patel Salai. I can’t remember the name of the restaurant, but I think maybe it had “green” in the name, or the building was green. Anyhoo… I dream about it still. The person who left me this message was Cacahuate, an American who had spent two years traipsing all over the world (of which more than a year was in India) and to whom I shall remain forever indebted for helping me plan my honeymoon at Havelock Island. So I made it part of my mission in Pondicherry to track down and try the Malai Kofta. I was a sickly boy as a child, but I realized how far I had come when I had to rush to the hospital on Sunday. All because of medical insurance. It wasn’t for me, but for my wife. She caught a fever on Saturday and it wouldn’t subside by Sunday. I realized that we’d need to see a doctor, and I also realized that I did not know any doctor in Hyderabad. So we took her to one of the hospitals that were on the approved list provided by the insurer. My belief is that if you are a generally healthy person, your medical needs are best served by finding a decent doctor who makes his living by treating lower middle-class people and sticking to him. This is from my personal experience, having been a lower middle-class person myself in my childhood. You are better off with this guy than with an excellent doctor who treats the rich. The first reason is that he will have more experience. The second, more important reason is that his incentives will be aligned to yours. He will be used to treating people who cannot afford too much money for useless tests. He will be focused on volume rather than on trying to extract as much value from you as possible. So you will get treated for your disease in a no nonsense way. Opting for insured treatment for minor illnesses is usually a bad idea, because the hospital will find multiple ways to treat you and charge the money to the insurance company. First, they insisted on hospitalizing my wife rather than gave her outpatient treatment, because the latter is not covered by insurance. Then they tested her for every illness imaginable. Then they put her on the drip and injected her with such a large diet of antibiotics that by the end of Monday, she was in tears from the pain and was begging me to take her home. Today morning I insisted on a discharge and got it. I could turn this into a discussion on the various interesting ways in which the market fails when it comes to medical treatment – and how the attempts to fix it breaks it in various interesting ways – but I am too drowsy from having spent two nights in a hospital bunk. Watching a Kannada movie was not my idea of the ideal way to spend a Sunday morning. When I last checked, directors of Kannada movies had not yet learnt to distinguish between making a movie and directing a play in a village which had not yet been introduced to electricity. Characters in the typical Kannada movie used to stand shoulder-to-shoulder while having a conversation – something that normal people don’t do, but which makes perfect sense for actors in a play, because they’d need to face the stage. If they wanted to express something, it wasn’t enough to show it on their face – their whole body needed to convulse with surprise, shock or anger – something completely natural when you realise that the typical drama has poor support for close-ups. They also needed to scream their dialogues because the Ram-leelas fifty years back did not have microphones. I was in Ohio at a Wal Mart with a colleague. A child, perhaps five years old was standing with his back to me – his parents were a couple of feet away. The child obviously misestimated their location, because he put his arms behind his back and around my legs, evidently taking me for his father or some such. I gently disentangled myself – and when he looked around and saw who I was, the child recoiled. I smiled at the child and tried to pat him on his cheek. This action got me a horrified reaction from my colleague who had spent enough time in the US to know that a man never ever does such things to a child unless he is a glutton for a child abuse lawsuit. I was reminded of the incident when I read this rather saddening article. My cell-phone: Entirely my fault. I was on vacation and sitting at my in-laws. In a fit of joblessness, I started exploring its various features and somehow managed to lock my sim card. Fortunately, that was easily rectified. My watch: I was returning from my vacation lugging a heavy bag. While loading it into the bus, the strap of the bag got into a fierce embrace with the strap of my watch and took it down with it. My car: I don’t know what’s its excuse. I return from said vacation and I find that the steering is giving me trouble. Haven’t found time to fix it. My doorknob: I don’t know how I managed to break the door knob, but I did. Now if I shut the door from inside, I need to spend as much time and burn as much calories as I would if I worked out at the gym.